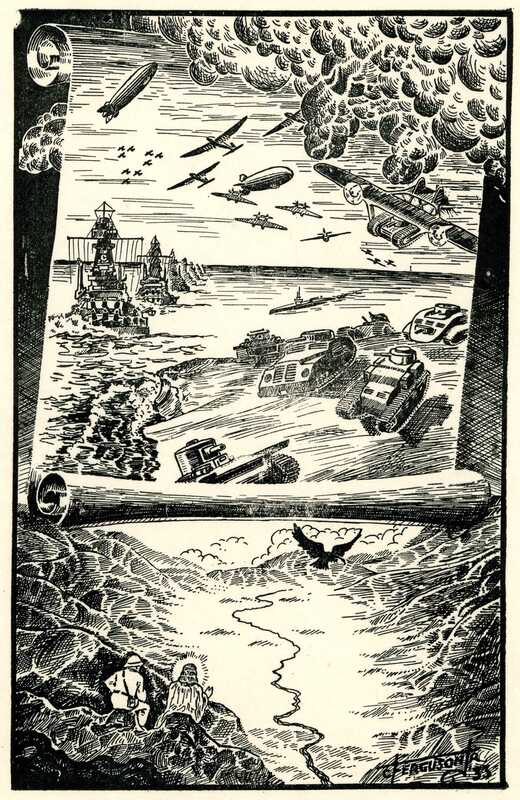 The October 1933 issue brought us the first ever illustration, drawn by Clay Ferguson for the story The Scroll of Armageddon by Arthur J. Burks, the first part of which appears inside. Jesus intervenes in the troubled Middle East… The image to the left is a premium version of the cover illustration, offered for subscribers through an ad on the back cover (below right). This copy is from the collection of Forrest J Ackerman. Unfortunately the transfer of the image to the cover of the actual issue was of poor quality. Feedback from readers on Cosmos continued. Wollheim was 18 when this letter was written. He would become a published author the very next year with the appearance of “The Man from Ariel” in the January 1934 issue of Wonder Stories. In October of 1936 he organized one of the very first science fiction conventions in Philadelphia. That same year, he started his own successful fanzine (The Phantagraph). 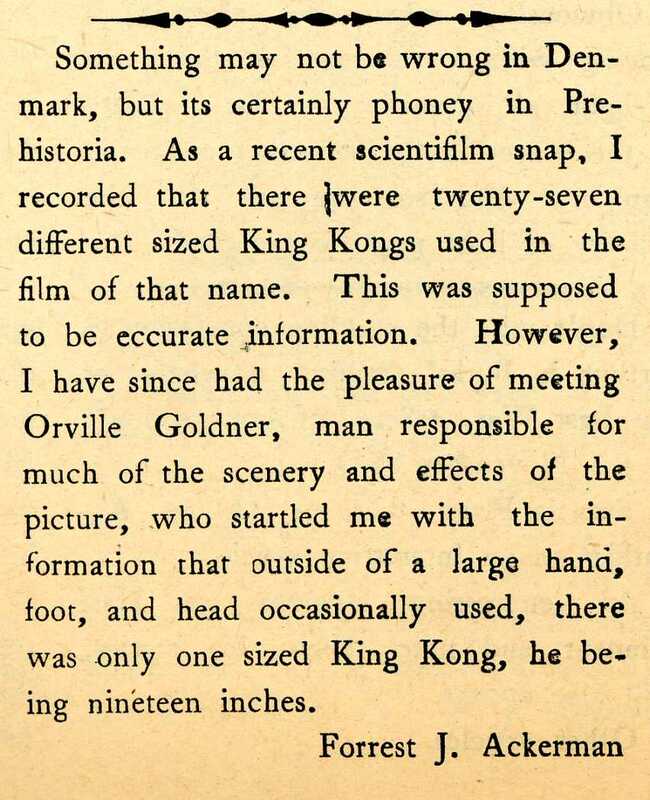 He went on to become a key publisher of science fiction anthologies beginning in 1943. This issue also featured an ad for another fanzine, Charles Hornig’s The Fantasy Fan. 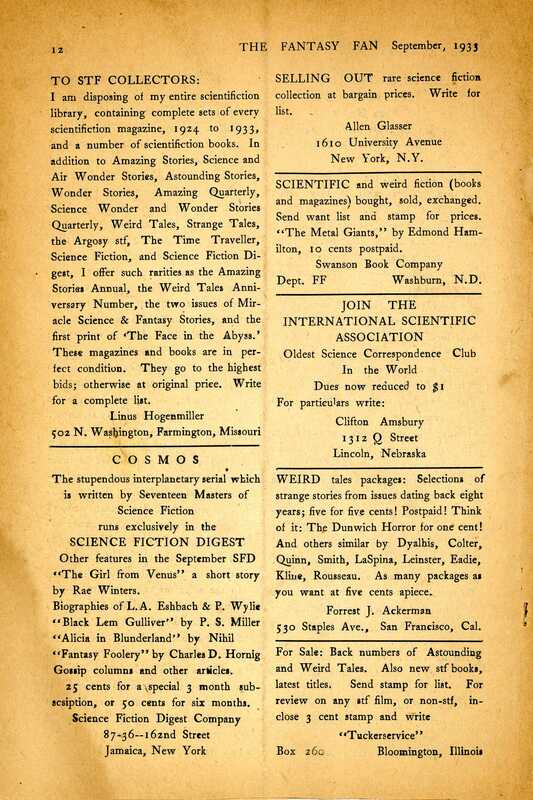 This publication begin its run in September, 1933 and focused more on the “weird fiction” genre, with stories m ore akin to those in Weird Tales than the hard science fiction found in Amazing Stories and Astounding. Initially it seemed that there would be a clear separation between the two magazine, as The Fantasy Fan explicitly disavowed publishing science fiction. The initial issue included articles by Julius Schwartz and Forrest Ackerman. COSMOS was advertised on the back page of TFF. But as we’ll see in coming issues, the editors of SFD soon began to recognize the overlap between the fan bases and extend their own coverage into the realms of the weird as well. Meanwhile, Forrest J Ackerman was honing the Hollywood reporting style that was to become his hallmark in later years. Interesting to note that his middle initial appears here with a period following, which he explicitly disavowed. According to filmmaker Paul Davids, who purchased Mr. Ackerman’s birth certificate along with other papers, Forry’s given name was “Forest James Ackerman” — one “r”. Forry is quoted as saying, “I thought the ‘ames’ was too ordinary, so I just used the J.” By the time of his death, Forry had acquired many of the original props used in the original 1933 King Kong movie, including the mechanical stegosaurus and brontosaurus models used in the classic battle scene. 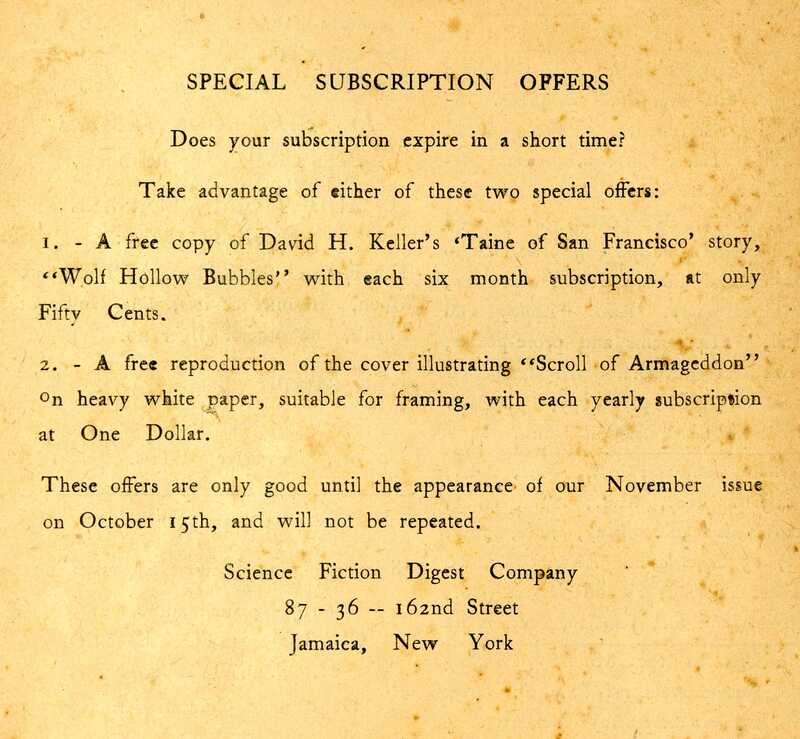 Read about the November, 1933 issue.